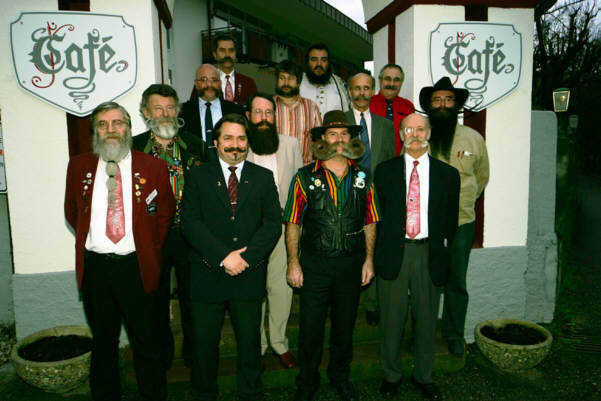 The World Needs A Stronger Blog...: World Beard and Moustache Association (WBMA) Championship! World Beard and Moustache Association (WBMA) Championship! "The purpose of the World Beard and Moustache Association is to promote the worldwide appreciation of beards and moustaches, and to co-ordinate international events, including competitions, held in such a manner as to encourage friendship among those with beards and moustaches." The association came into existence at a meeting in Höfen/Enz, Germany, on November 27, 2004. Let's all root for Beard Team USA!! Beard Team USA competes for the United States at the biennial World Beard and Moustache Championship this Saturday! "Our primary goal is to promote the worldwide appreciation of beards and moustaches. " if you can pull it off, why not? Click here to view the Beard Team USA Blog. 2005 Berlin, Germany, courtesy Jürgen Burkhardt (please do not use photos without Jürgen's permission) - well, I would never!